GoGo Squeeze Applesauce - Apple strawberry - Case of 12 - 3.2 oz. 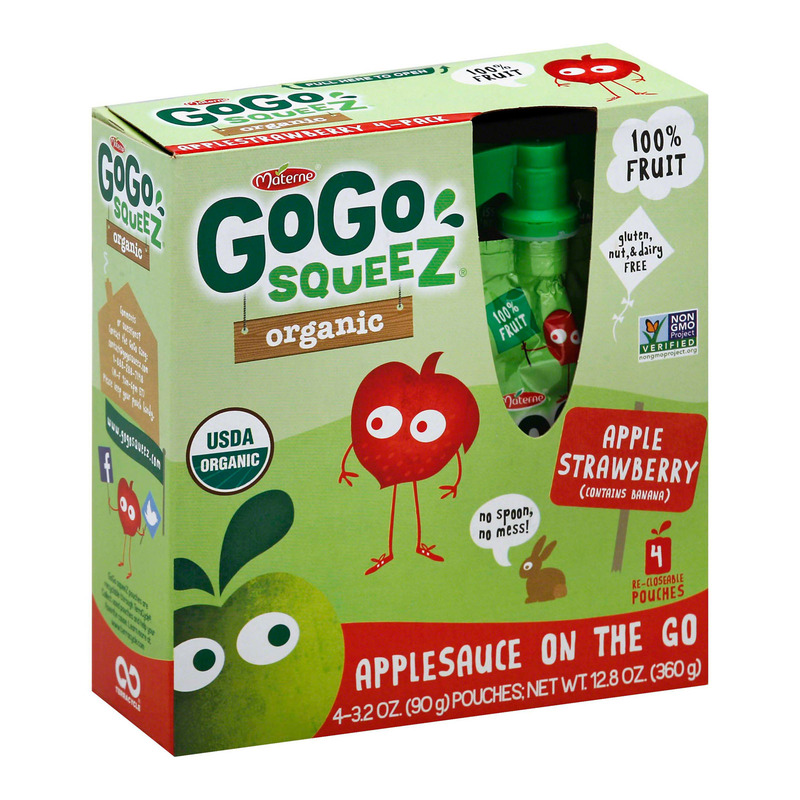 GOGO SQUEEZ ORGANIC APPLE STRAWBERRY MAKES IT EASIER FOR KIDS AND FAMILIES TO BE A LITTLE HEALTHIER AND HAPPIER EVERY DAY WITH APPLESAUCE ON THE GO. THESE SQUEEZE POUCHES ARE EASY FOR KIDS TO EAT AND REQUIRE NO DISH WASHING. THIS DELICIOUS APPLESAUCE IS GLUTEN-FREE, KOSHER, NON-GMO AND DOES NOT CONTAIN ARTIFICIAL INGREDIENTS. 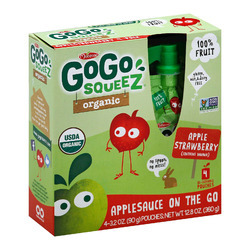 EACH BOX OF GOGO SQUEEZ ORGANIC APPLE STRAWBERRY CONTAINS FOUR 3.2 OZ. POUCHES OF APPLESAUCE.